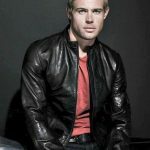 Hollywood actor Trevor Donovan debuted in 2004 with a one-episode role on Quintuplets. His first notable role on the small screen was as Jeremy Horton on the soap opera Days of Our Lives. Following this, he came to prominence for starring as Teddy Montgomery on the CBS series 90210. At the same time, he made his cinematic debut with a small role in the 2009 film Surrogates. He also appeared in the 2010 film Takers. 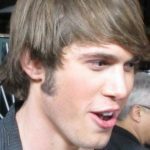 While on 90210, he had guest appearances on a variety of television shows. This includes CSI: Crime Scene Investigation and The Client List, among others. After 90210, he played recurring character Austin on the sitcom Melissa & Joey. He also starred as Eric on the made-for-television film A Snow Globe Christmas. In 2012, he appeared in the movie Savages. He went on to star in a couple of TV films, including Bermuda Tentacles, Love Finds You in Charm, and JL Ranch. In 2017, he played Eddy Arnold in 4 episodes of Sun Records. More recently, he had a one-time role on NCIS and starred on the TV movies Escaping Dad, Marry Me at Christmas, and Runaway Romance. He also recently appeared in an episode of Lucifer. Judging from his muscular physique, it is clear that the television actor works out rigorously. 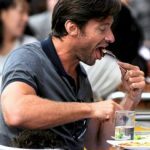 As an actor, it is crucial for him to maintain his healthy body. Not only does this improve his confidence, being fit makes him feel good overall. To achieve this, he doesn’t make any excuses. He treats his workout regimen seriously and rarely misses his training. He’s a regular gym goer and enjoys the time he spends there. More specifically, the actor is into circuit training apart from the standard cardio and weights. He even attributes his six-packs to circuit training, so he swears by it big time. He also engages in outdoor activities and sports.